Provided your domestic heat exchanger or Mechanical Ventilation and Heat Recovery system (they’re the same thing) has been fitted to a satisfactory standard you should’t have much maintenance to perform. 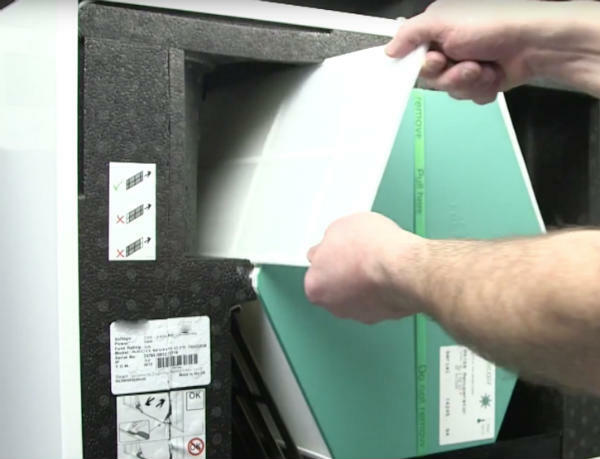 The main consumables are the filters which will require replacement at least once a year. But this may be needed more often if you live in an area with high levels of pollutants, such as within a city etc. There are several different filter grades offered by the various suppliers. Some go for very fine filters that remove pollens etc and others feel that coarser grade filters are sufficient. I’m not going to give an opinion either way as you’ll know if going for the higher grade filters is likely to make a significant difference to your household or not. For example if you or a family member suffers from allergies or asthma etc. then the F class filters are going to be beneficial. Your filters also maintain the air flow rate required by Building Control, the efficiency rate of your domestic heat exchanger and the air quality for the people living in the house. Clogged filters will not only affect the airflow getting into and out of your home but it will also cause the unit to run at a greater load meaning it’ll cost more to run. How will you know when the filters need to be changed? Simple, your main heat exchange unit will tell you, usually via a warning light or message on the control panel. Most filters will need to be replaced at least every 12 months or according to the manufacturers instructions. But every home will be different. 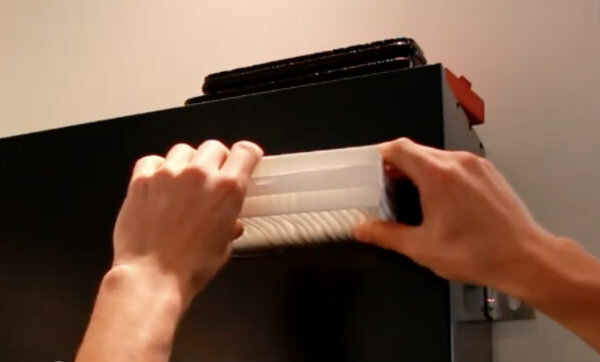 Your filters will last a shorter time if for you live in an area with lots of contaminants in the air. The process of changing the filters will vary depending on manufacturer but it’s usually pretty straight forward. Typically the main heat exchange unit will monitor the air flow through the filters and will flash up a warning when air flow is restricted. This can take many forms depending on the manufacturer. It may say “change filter” on the control panel or it may flash the service indicator etc. But your manual will tell you how to diagnose when a filter change is due. Once your change filter light is on it’s typically just a case of removing a cover panel or two, sliding out the filters and then simply installing the new filters. Bear in mind there are sometimes two different grades of filters used. One for the incoming air and one for the outgoing air. The reason for this is that the incoming air will normally contain more contaminants and will therefore use a higher grade filter. The filter on the outgoing air tends to be the lower grade one as it has less contaminants to filter out. What different grades of filters are available for domestic heat exchangers? These F class filters are often referred to as pollen filters. 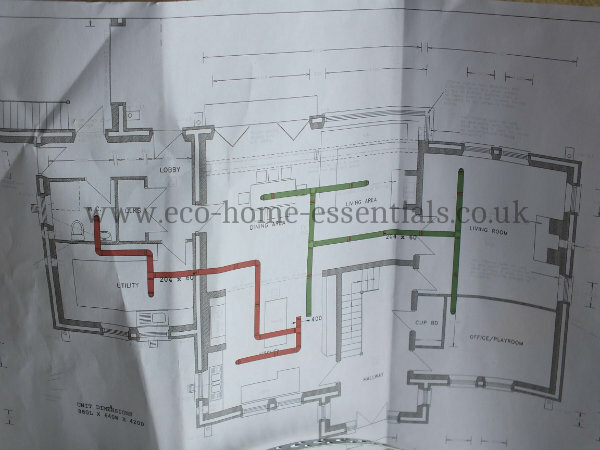 If you’re installing your domestic heat exchanger system to Passivhaus standards (which is about as good as it gets when it comes to eco-homes) you would need to have a minimum of an F7 filter on the intake and a G4 filter on the extract side. Please note you do not have to go to Passivhaus standards. If you find that you’re having to deal with other maintenance items such as drops of condensation appearing on ceilings, noise etc. then you should contact your supplier as these are not things that you will easily be able to solve (and they shouldn't be happening if it was commissioned correctly). 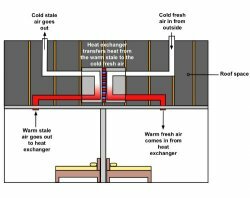 Introduction to heat recovery systems. Features to look for when considering a heat recovery system? 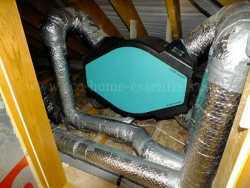 Potential fitting issues when installing a heat recovery Unit? Are all heat recovery units equal? Home Page. › Domestic Heat Exchangers Intro. › MVHR Maintenance Issues. 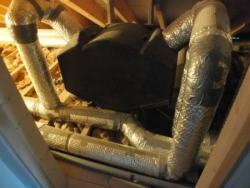 What is Domestic Heat Recovery? Are all Heat Recovery Systems Equal?